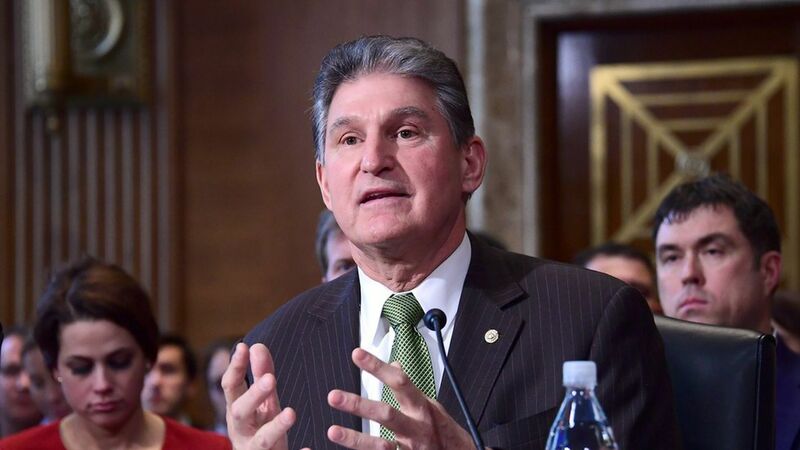 On Wednesday Feb 8, West Virginia's Democratic Senator Joe Manchin welcomed the Breitbart News editorial team to his Capitol Hill office for an hourlong off-the-record "get to know you" session. It was part of a behind-the-scenes process — kicked off post-election and led by Manchin's communications director Jonathan Kott — to establish warmer relations with the right-wing news outlet. Why this matters: No other Democratic Senator has done a session like this with Breitbart; and most Democrats wouldn't touch the website with a 30-foot pole. But getting on with the controversial populist nationalist site — which has its former chairman Steve Bannon as the President's top adviser — could prove helpful to Manchin, who faces a tough re-election in 2018. Feb 13, 2017: Breitbart got the exclusive that Manchin "Joins Effort to Revoke Social Security Rule Suspending Beneficiaries' Gun Rights Without Due Process". Behind the scenes: Kott decided that instead of issuing a press release he'd give this announcement to Breitbart exclusively. He says it paid off. The story rocketed around gun-owning circles in West Virginia and was picked up by hunter, sportsman and gun publications. Feb 2, 2017: Breitbart got the exclusive that Manchin was "Pleased Trump Told Iran 'We Are Not Going to Play Their Games'". Jan 24, 2017: Breitbart got the exclusive that Manchin would be "the first Democrat to publicly back [Trump's] selection for Secretary of State in ExxonMobil CEO Rex Tillerson"
Jan 16, 2017: Breitbart headline: "Dem Sen Manchin: Boycotting Inauguration and Saying Trump's Not Legitimate Gives Russia What It Wants"
"West Virginia Sen. Joe Manchin has navigated the changing politics of his home state by crafting an image of an independent-minded, moderate Democrat. Despite his occasional bipartisan bluster, however, he is as reliable a vote for progressives and President Obama as any other Senate Democrat. His public advocacy for the nomination of Loretta Lynch to be Attorney General puts a lie to his well-crafted maverick myth." Unlike most Democrats, he's spent significant time cultivating a number of influential conservative media outlets and personalities. Since the election he's gotten to know Sean Hannity. They have spoken several times over the phone. He recently met with the Daily Caller and did a video interview with Ginni Thomas (the conservative activist and wife of Supreme Court Justice Clarence Thomas.) The piece's headline: "Manchin Hammers Obama's Failed Policies, Praises Trump For Getting Things Done". He's got a longstanding relationship with Fox Business, and especially host Neil Cavuto. He's close to the Fox & Friends crew, particularly Brian Kilmeade. He's gotten to know and like the Washington Examiner's Salena Zito, who traveled to West Virginia in November to write a profile on Manchin.